Julia hesitated. She didn’t want to let go of Chrístõ. She knew he intended to run towards the gunshot and the screams. She turned and ran inside. Chrístõ ran down the steps into the rose bower. He found Nestista and Marissa, not screaming now, but holding each other and sobbing with fear, and Corwen bending over the body of Julio Romano. Chrístõ dropped to his knees beside him, pulling his sonic screwdriver from inside his robe. “I think he’s dead!” Corwen told him. Nestista broke down in tears again. Marissa held her and sobbed, too. Bad didn’t begin to describe the political implications if Nestista and Marissa really saw what they believed they saw. But Chrístõ’s first and only concern just now was for the injured man. He was, above all, a doctor. He first laid his hands on his patient’s forehead and willed him into a deep sleep from which he would feel no pain. Then he examined the wound by the power of his mind. The bullet had entered his chest, very close to his heart, but just missing that vital organ. It needed to come out, though, before he could possibly be moved. Even the slightest jar and it could sever an artery. “Sire!” he heard a voice calling to him and a torch illuminated the scene. He told the young guard to keep the light steady as he worked, though really it made no difference whether there was light or not. His eyes were closed in concentration. If he had been as good at telekinetic healing as Romana, it would have been relatively easy. As it was, he would have to use the sonic screwdriver. That was almost as good, but he had to keep his hand very steady as he turned it to magnetic mode and used it to guide the bullet, very slowly, back through the track already made in Julio’s flesh. It was as well that he was unconscious. Chrístõ knew it would be agonising otherwise. He had gone through the same operation himself more than once. It hurt a lot. But it had to be done. He was aware that there were many soldiers around him now. Some were guarding him and Corwen and the ladies. Others were searching the rose bower for evidence. He heard Penne’s voice speaking to his son. He heard Julia calling his name, and Cirena telling her not to bother him yet. He ignored all of them for several nerve-wracking minutes before he was able to grasp the blood-covered and misshapen bullet in his bare hands. That much was done. Chrístõ stood and looked around. Julia ran to him at last. Penne stood by him, shocked by what had occurred. “Major Beccan,” Penne said in a calm, steady voice that belied the worried look in his eyes. “Have the Loggian Guard confined to quarters. Confiscate their weapons and make sure they are guarded. Send your best people to the Dragon-Loge’s suite. He and his entourage are to be kept under house arrest until I can consider this matter. Search his rooms for the weapon. Chrístõ, don’t lose that bullet. It’s vital evidence. Major Ruana Beccan went to do her king’s bidding at once. He, meanwhile, turned to his family’s well-being. He told Cirena to take his son and the women to their private drawing room. She was reluctant to leave him, but he persuaded her to go without too much fuss. They went first to the ballroom. The dancing had stopped. There was no music. The guests were standing or sitting, talking quietly among themselves. The Guardia Real were a real presence in the room, not merely ornamental. All eyes turned on Penne and Chrístõ as they walked to the stairs and the King-Emperor stood to address them all. The guests were startled and worried, but they did as they were asked. The servants, the musicians in the orchestra, all went to their own places, too. Penne went with Chrístõ to his private drawing room. Major Beccan fell into step with him. She reported that his instructions had been carried out. The Loggian soldiers were disarmed and confined. The Dragon Loge Marton and his retinue were under arrest. “How did he take that?” Penne asked. “Did his stupor occur after he had been to the rose bower to shoot an artist, or was he there all the time?” Penne asked. The same thought had occurred to Chrístõ. They reached the drawing room. Nestista was changed from her ballgown into a long, warm rest gown. Chrístõ saw the satin gown folded on a chair and examined it. There was a great deal of blood on it. A large stain showed where she had leaned over the injured man. But there were blood spatters, too. She had been close to him when he was shot. Nestista could have been the intended target. But even if she was, the finger still pointed to the Dragon Loge. He had as much reason to hurt her as he did the innocent Julio. “I saw him, too,” Marissa reminded them. Corwen couldn’t confirm who he had seen. His back was turned when the shot was fired. But he did see somebody running away into the shadows. “You are sure it was him?” Penne asked. Chrístõ sat beside Nestista. He reached to touch her face. She drew away from him. Nesista looked at Penne. He nodded. Chrístõ touched her gently. He let his mind enter hers very carefully. She was overwrought, frightened. She knew enough of political matters to know just what a crisis surrounded them all. He pierced the fog of those anxieties and reached for the real memories beyond it all. He saw through her eyes what she could never have described in words. He saw her and Julio, with Corwen and Marissa in the rose garden. It was a dark place, with a few small ornamental lamps that served to make the shadows deeper beyond their small pools of orange-yellow light. The man with the gun had been standing beyond one of the lamps. It’s glow came between him and Nestista’s viewpoint and ruined her night sight. She saw him in silhouette only. Nevertheless, the silhouette did look like the Dragon-Loge. He was tall, slender, he moved lithely. He wore a leather cloak that folded around his body. When he raised his arm to fire the gun it was in the fluid way that the Dragon-Loge moved. When he turned and ran, it was with his grace of movement. Except for one moment when his cloak caught on the rose bushes. Chrístõ focussed on that detail which Nestista herself had not thought relevant. That fog of anxiety, her fear and grief, obscured it. But Chrístõ noted it before he decided that there was nothing more he could learn from her. “Marissa.” He turned to the other girl. She shied away from him at first. The mental power he took for granted scared her, as, indeed, it scared most people. She did. Right down to the detail about the cloak becoming caught and the man pulling at it in an irritated way before running. He hugged Julia and told her to look after Marissa. She solemnly promised. He turned to Penne. His memory flew back to that conversation he had with his father in the Venturan Embassy. It seemed a long time ago. It was only a few weeks in reality. When his father had told him about the guards in the Panopticon who had been murdered by the high-caste man who stole the Tear of Omega. That man had thought the lives of commoners of no consequence. He laughed at the idea of being punished for their deaths. And his father had executed him. There were two soldiers at the door to the Dragon Loge’s suite. They bowed their heads to their King and stood aside as he and Chrístõ entered the ante room. There, too, were Guardia Real soldiers, male and female. They stood to attention as their King entered. The servants of the Dragon-Loge did not stand to attention. They served only one master. Three of them were women, Chrístõ and Penne noted, all dressed in small pieces of leather. They both had a shrewd idea what service those women performed for the Dragon Loge. Six more were men, also dressed in leather, but more of it. Two of them had carried his banners and stood in attendance with him in the ballroom. The rest may have been footmen or foot soldiers. It was impossible to tell. “They’ve all been searched and disarmed?” Penne asked his own officers about the Loggian servants. “That is acceptable,” Penne replied. He nodded to his soldiers to go into the bedchamber with him. There was a predictable amount of noise from within the chamber. They heard several Loggian swear words and some crashing that suggested the Dragon Loge was throwing things. Then the door burst open and he stepped out, accompanied by his servant and flanked by Penne’s soldiers. The Dragon Loge looked like a man who had been roused from a deep sleep. He was still wearing the same clothes he wore to the ball, but they looked crumpled as if he had slept in them. His eyes looked heavy. Even so, he drew himself up and his mouth was set in an expression that told of a deep, seething anger. “Satisfied of what?” The Dragon Loge demanded. But Penne was not even looking at him, something which angered him even further. One of his officers had brought some evidence from the bedchamber. 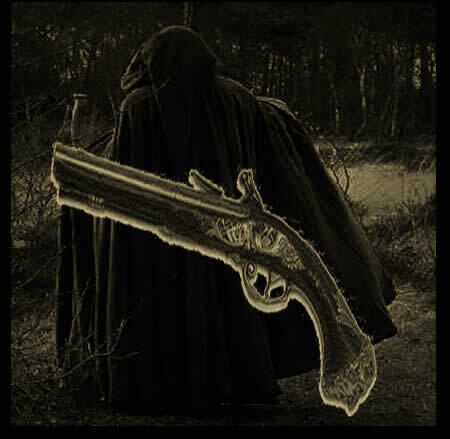 A leather cloak folded up neatly and a gun on top of it. The officer confirmed that the gun had recently been fired. “Attempted murder,” Chrístõ answered him. He took the leather cloak from the officer and looked at it carefully. He found the evidence he expected to find. A tear and scratches on the leather from being caught in the rose bushes. A close forensic examination would doubtless find pollen and other evidence that the wearer had been concealed in the rose bower. “Yes, sire,” he was told. “I will show you who is worthless,” The Dragon Loge responded. He lunged towards Penne faster than anyone expected. Even so, his guards responded. There was never the slightest chance of Penne being injured, even by the long knife the Dragon Loge pulled from within his clothes. “The servants will remain here under close watch,” he said. “Bring him.” His soldiers at once obeyed his command. The Dragon-Loge was made to walk forward, under guard. He said nothing. But he continued to walk. His footman, the one who had roused him from his sleep, attempted to follow but was blocked by armed soldiers. The Dragon-Loge growled. He actually growled. The sound was much more like an animal than a sentient being. His eyes glittered with so much pent up anger that it had robbed him of the power of speech. “Fine, we’ll fight,” Penne responded. He looked around and then changed direction. His intention had been to go to his throne room, where he held court and pronounced judgement on his own subjects after hearing their cases. But the Dragon-Loge believed in a more ancient way of settling disputes. He turned down a staircase and along another well lit corridor until they reached a room directly beneath the throne room, but usually private to the King. His daily exercise room. The kind of exercise he practiced in here was obvious. There was a rack of fencing swords and various lengths of fighting sticks and other weapons. Penne nodded. His soldiers stood back. He was surprised that the Dragon Loge allowed that. But honour counted highly with him. That was the point, of course. His honour was held in question and he intended to fight to prove it. He meant to fight as in the old chivalric sense of a duel – might is right – strength prevailing over all. Penne understood that when he chose this course of action. He knew this was no time for courts and logic. At least not yet. Later, that would come. But first, he was ready for trial by combat. Refereeing was hardly the word for Chrístõ’s role. All he did was ensure they didn’t actually have any edged weapons concealed on their bodies. Otherwise, anything went in a fight between two well-matched, physically fit men with a score to settle. Both were strong, lithely built, and both practiced some kind of exercise daily. Penne was less militant than the Dragon Loge, and perhaps a little less diligent in his workouts. And he spent at least as much time in bathing and sedentary pursuits, but that just evened them out, of course, since Penne was of Gallifreyan physiology and was innately endowed with greater stamina than most other humanoid species. Blood flowed as they kicked and punched and swept each other’s legs from under them. The Dragon-Loge’s nose was bleeding. Penne’s lip was swollen and his lighter, Gallifreyan blood flowed freely as he brought his opponent to the floor and they grappled hand to hand, desperately trying to force a submission out of each other. For a while it seemed as if the Dragon Loge had the upper hand. Penne was pinned under him and seemed to be taking the worst of the punishment. But then Penne moved swiftly and was on his feet again, kicking the Dragon Loge in the ribs as he tried to stand and face him. “Penne, let him up,” Chrístõ called out. Penne relented long enough for the Dragon-Loge to regain his feet before they began what looked like a cross between bare knuckle fighting, kick boxing and wrestling. Neither would relent. What, Chrístõ wondered, would it mean if the Dragon-Loge won this fight - apart from proving that Gallifreyan stamina wasn’t all it was cracked up to be? Penne maintained peace with Loggia on the basis that the Dragon-Loge’s rule was shaky and his was strong. Strength prevailed. If he showed himself weaker in any way, even this brawl, now, it would allow the Dragon-Loge to dominate. It would allow Loggia to challenge Adano-Ambrado for supremacy in their sector of the galaxy. And that, Chrístõ thought, was a bad idea. As much as he saw something of his own self in Drago, even had a grudging liking for him, as much as he owed him for his courage in the Battle for Gallifrey, Chrístõ disliked the Dragon-Loge’s rule by fear. As long as Loggia was a small, relatively unimportant system, whose system of government was regarded as a curiosity, and its leader as a throwback to less civilised times, Drago could be tolerated. But if he should become the dominant power then he would be dangerous. And justice for Julio Romano would be a remote possibility indeed. Both men cried out with their physical effort before Penne finally brought Drago to the floor hard. He wasn’t physically knocked out, but it was clear that the fight was over. Drago was not going to get up and continue. Penne breathed hard as he stood over him. Drago looked up at him, his face livid with bruises and cuts. His eyes had the look of defeat about them. “Chrístõ,” Penne said. “Attend to him, please. My wounds will heal themselves in a little while and it will seem as if I simply had him beaten up with no chance to fight back. Besides, his people should not see him like that. Give him his dignity. Chrístõ knelt and applied the tissue repair mode to Drago’s face, easing the bruises and mending the minor cuts as well as his broken nose. Drago looked at him as if the word ‘fold’ wasn’t even in his vocabulary. It very likely wasn’t. In the unlikely event that he ever undressed himself without an attendant he probably just dropped everything on the floor. That was what servants were for. “Drago… will you let me..” Chrístõ raised his hands towards the Dragon-Loge’s face. He drew back. He had been more co-operative for a while, the humiliation of his defeat in combat cowing him a little. But now, after being questioned about boots and cloaks he drew himself up, bristling with indignation again. “Frame?” That word was not in his vocabulary, either. At least not in the Earth definition. “Very well,” he conceded. Chrístõ reached out again and put his hands either side of Drago’s head. He reached inside carefully. He was immediately aware of the mass of emotions piling up inside. His broken pride overwhelmed everything. His humiliation in the fight was all-consuming. He was covering it with brave words, but inside he felt defeated and worried. He thought that Penne was going to destroy him politically now he had destroyed him physically. Chrístõ looked past all of that and found his most recent memories. He saw him at the ball, watching the dancers, male and female alike, with the sort of lasciviousness Penne had learnt to control when he fell in love with Cirena. He had been given drinks and food by his attendants from time to time, and took no real part in the proceedings apart from his row with Nestista and the altercation with Penne. Shortly after that he had retired from the ball. His short journey to his quarters was surprisingly fuzzy, even allowing for the drink he had taken, and indeed, by the time he reached his bedroom he was barely conscious. He collapsed on the bed fully dressed and was only just aware of somebody taking off his cloak before there was nothing but blackness. “So do I,” Penne added. 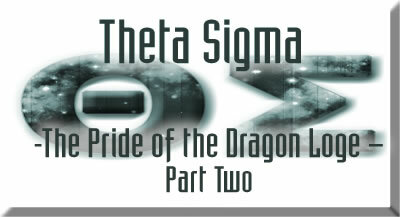 The Dragon Loge looked at them both and his eyes flashed with the same anger and pride. Drago’s eyes softened a little and he nodded cursorily. That was the best they were going to get from him in the way of acceptance. Some time later, Chrístõ stepped into the Dragon-Loge’s quarters. His servants still remained there under guard by Penne’s soldiers. They all looked at him. He kept his expression stiff and his eyes steady. “I wish to speak to the servant named Dravon,” he said. “Alone. Come with me.” He looked at the tall manservant who had attended to the Dragon-Loge earlier. The man followed him into the bed chamber. Chrístõ noted that the room was just as it had been left. The big, silk covered bed was slept on, but not in, confirming Drago’s claim to have fallen on it and slept unawares. 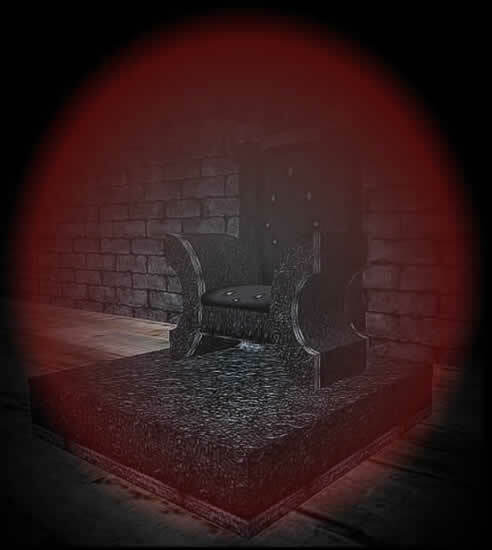 “He is in the dungeon. Julio Romano died of his wounds. It is now murder. And my Lord, the King-Emperor of Adano-Ambrado will not permit his death to go unpunished. Dravon looked upset. He asked if he could see his Lord, to bring him food and comforts. “I…” Dravon faltered as he sought to answer that question. Chrístõ was only surprised he had given himself away so easily. He had expected to trip him up, but not so quickly. He knew, in any case, that there was no such order given before the Ball. He had read the Dragon-Loge’s memories carefully. He had been completely open to him. He was perplexed by the idea of a Ball in honour of a mere woman, and by Penne’s insistence that she should be allowed to choose – or not choose – her own future husband at the ball. But there was no pre-meditated attempt to prevent her from making that choice. “We did,” Penne answered as the two kings stepped forward together followed by Guardia Real and Loggian guards who took up position. Dravon’s face paled. He dropped to his knees in front of Penne. Penne opened his mouth to speak. But his words were silenced by the sharp sound of metal on metal as The Dragon-Loge drew his sword. There was a swish as it moved through the air. Dravon gave a fearful whimper as it stopped millimetres from his neck. Chrístõ had stayed The Dragon-Loge’s arm. He put his other hand on his shoulder as he spoke close to his ear. “Why?” he demanded, the strain in his voice telling as he tried to move his sword arm and found it locked by a far stronger grip than his own. There was a silence, broken only by the incoherent whimpers of the man who, but for the timely intervention, would be dead already. The Dragon-Loge turned his head a few inches to look at Chrístõ. Then he glanced at Penne, and at his own people around the room. All eyes were on him. Drago’s sword arm relaxed. He stood upright and sheathed his sword as he stood back from the crouching wretch. “I will be merciful,” he said. “I will not punish him as my law demands. I shall allow my friend, the King-Emperor of Adano-Ambrado to decide his fate. Penne stepped forward. His face was as dark as Drago’s, and Dravon whimpered again, despite his belief that the King-Emperor of Adano-Ambrado was a more merciful man than his own Lord. The Dragon-Loge went to his bed, attended to by a more loyal servant than the one that had been dispatched. Chrístõ and Penne didn’t think of sleep. They walked out in the palace gardens together and looked at the stars until the dawn banished them from the sky. They walked in the early morning sun and noted that others were up and about. Two riders set out from the palace stables. Corwen and Marissa enjoying the peace of the morning. Chrístõ conceded as much. He conceded something else, too. “I think that’s true of us, too,” Penne answered. Chrístõ smiled. Some things about Penne never changed. And he was glad.